Last year, our team facilitated a four month Communal Journey through the Activation Sequence with over 700 members of the Gene Keys Network. This year we will continue this incredible communal experience with a 9-Month Journey deep into the heart of the Gene Keys Transmission: The Venus Sequence. Bi-Monthly Community Breakout Group Calls for interpersonal connection. The Living Wisdom of a group consciously and lovingly entering into a collective stream of wisdom to open our hearts in relationship to ourselves, each other and to life itself. This communal experience is available worldwide, at any price, and at any level of authentic engagement. Because all the material will be available for replay you can enter the stream at any time and go at your own pace or move with the current flow of the retreat beginning in late March. We also strongly encourage small local groups to form and meet together throughout the nine months. One of ways we are modeling this natural law is to experiment with offering all of our online courses with a “Name Your Price” option. This allows anyone who is genuinely interested in participating to be able to do so for a cost that reflects their capacity to give. Suggested Price Range – $90-$222 for the 9 Month Virtual Retreat You can register now for this retreat at any contribution level to receive full access. You will also find Give and You Shall Receive buttons available on each month’s landing page, so if inspired you can increase your giving along the way. The resources generated from this retreat will support our team to continue to cocreate more gifts to give! We will also give a generous gift to Richard Rudd and genekeys.com at the end of the retreat – the amount will reflect our collective giving. 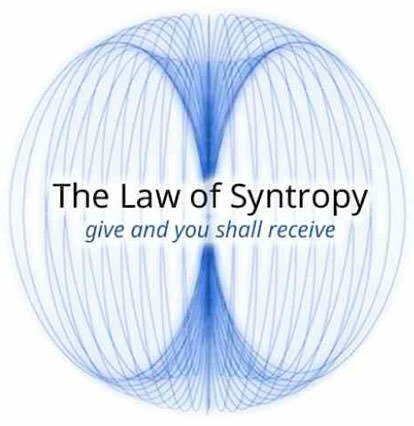 SYNTROPY: The universal principle through which collective intelligence transforms itself physically in order to become a Synarchy. If you have not already done so, we highly recommend purchasing and utilizing the resources available in Part 2 of the Treading the Golden Path Program – The Venus Sequence – created by Richard Rudd. The Venus Stream virtual retreat is NOT a replacement for this course. It is designed to work with and complement this foundational program. You will be taken to genkeys.com to purchase this course.